Roland MIF-IPC clone; enables the connection of Roland’s MPU-401 to PC, PC/XT and PC/AT systems. 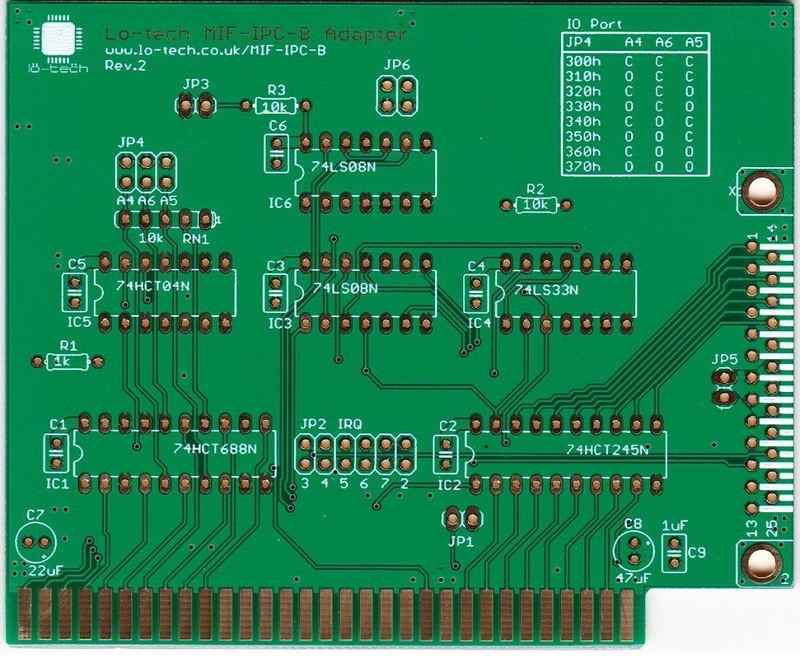 The Lo-tech MIF-IPC-B is an 8-bit ISA adapter providing connectivity for Roland MPU-401 MIDI hardware to PC, PC/XT and PC/AT class hardware. 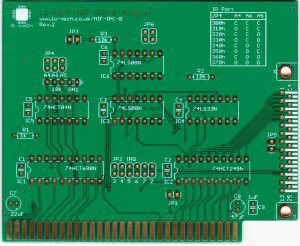 The board features user-selectable operating modes equivalent to Roland’s MIF-IPC and subsequent MIF-IPC-A boards, ensuring wide system compatibility and the prospect of running daisy-chained MPU-401 devices from a single host. 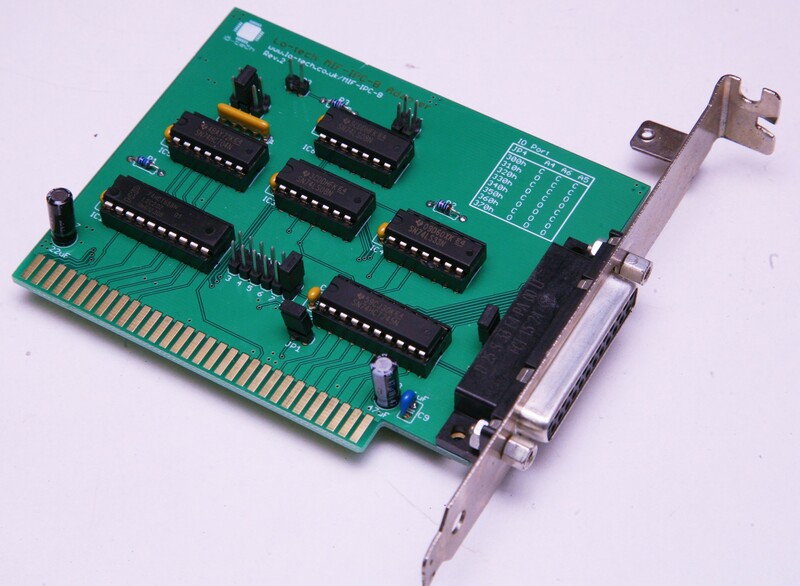 The board also features user-selectable IRQ and memory address options, enabling multiple cards to be used in a single system. The board is also IBM Personal Computer XT System Board Slot 8 compatible. A standard DB25 port provides compatibility with the original Roland cables, and is positioned such that the ISA slot bracket from an IBM parallel card (1501987) can be used. The board is based on entirely on through-hole 74xx series logic so ease of home assembly. Full Bill Of Materials in the product wiki. This product requires the separate purchase of components and home assembly; a soldering iron, solder and flux are needed to assemble the adapter. Image of assembled board is provided for reference. Please note that this project has been certified with Roland’s MPU-401 with the Voyetra MIDI test using a 90cm cable.